Many people have acted in unscrupulous ways since President Donald Trump was elected and the idea of “collusion” with Russia entered the mainstream media — and they’re not associated with the president or his campaign. "We couldn't really send these criminal referrals over without an Attorney General in place, so we are prepared this week to notify the Attorney General that we are prepared to send those referrals over and brief him if he wishes to be briefed. We think they're pretty clear, but as of right now this is, this may not be all of them, but this cleans up quite a bit. We have eight referrals that we are prepared to send over to the Attorney General this week," Nunes said. Nunes didn’t say who would be included in the referrals, but said five were for “straight up referrals,” that name a person and their crimes. "Those crimes are lying to Congress, misleading Congress, leaking classified information. So five of them are those types,” Nunes said. “So, on the first one, is FISA abuse and other matters. We believe there was a conspiracy to lie to the FISA court, mislead the FISA court by numerous individuals that all need to be investigated and looked at that, and we believe the [relevant] statute is the conspiracy statute. The second conspiracy one is involving manipulation of intelligence that also could ensnarl many Americans." Nunes called the final referral a “global leak referral,” saying it would be focused on the “dozen highly sensitive classified information leaks that were given to only a few reporters over the last two-and-a-half-plus years.” Nunes gave examples of leaked conversations between Trump and the president of Mexico and the prime minister of Australia. While eight referrals would be sent to the Attorney General, that does not mean only eight people are in trouble. 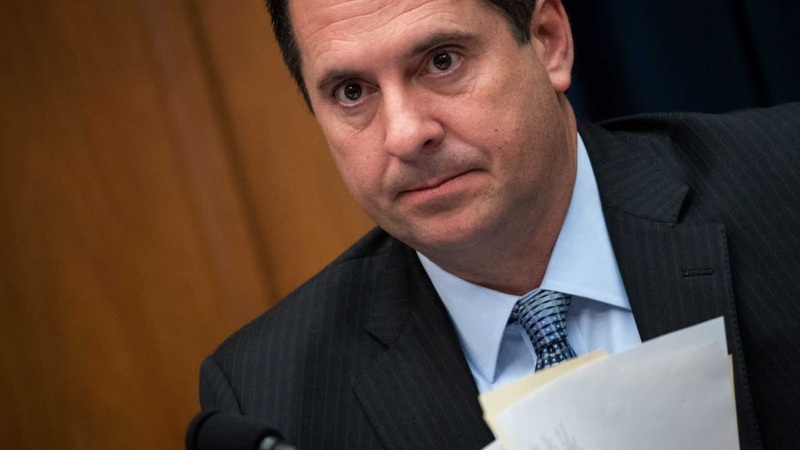 Nunes noted that “a dozen, two dozen people” could be implicated should Attorney General William Barr investigate the referrals. When congress sends a criminal referral, it is essentially requesting the Department of Justice conduct an investigation, according to CNN. Last year, Senate Republicans sent criminal referrals for celebrity attorney Michael Avenatti and Julie Swetnick, who accused then-Supreme Court nominee Brett Kavanaugh of spiking the punch as parties when he was a teenager and then orchestrating gang rapes of women. No evidence for such claims was provided, and Swetnick later walked back her most inflammatory accusations during an interview with NBC. So far, it is unclear whether the Justice Department has agreed to investigate Avenatti, Swetnick, and another woman who made a similar accusation with Avenatti.